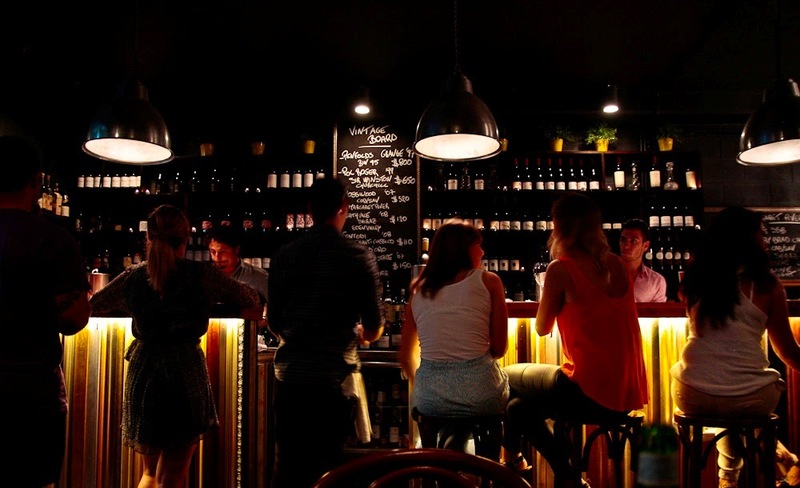 Croydon Lane Wine & Tapas Bar is warm and moody and a convivial place to hang. Croydon Lane Wine and Tapas Bar turned two today. I've been a massive fan of this place since I first stumbled across it after hearing whispers a new wine bar had opened up down in the pedestrian part of the mall. The fact the dinky little bar is hard to find - it's tucked away behind the Women's Rest Centre in Cronulla Plaza - only adds to its appeal. It's lovely and low-key and it still makes The Husband and I feel like we've discovered a secret place each and every time we visit. Croydon Lane Wine & Tapas Bar is full (wine) flight mode. Owned by Johnny and Cindy Rechichi, it's the little bar that could. It's where the lights are low and the vibe is discreet, the staff remember your name and are bright and chirpy to boot. Sounds like a flashback to an episode of Cheers, right? Erase Ted Danson and enter Johnny Rechichi, who works the floor with confidence and charm and that signature grin. He really is the consummate professional and the staff follow his lead. 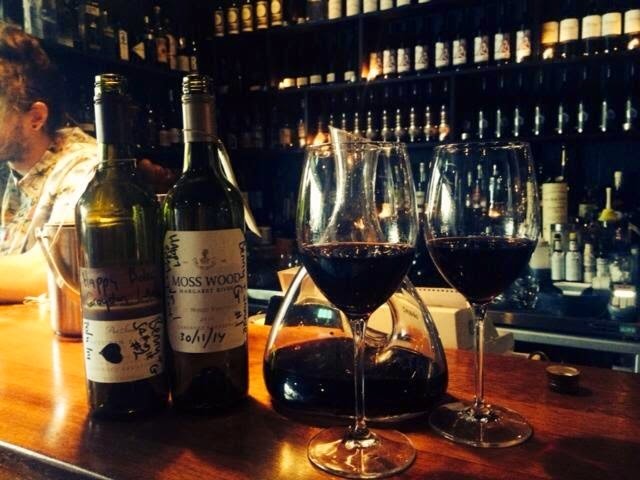 The wine list at Croydon Lane Wine & Tapas Bar is extensive and full of top global drops. When I first reviewed Croydon Lane for Good Food, in The Sydney Morning Herald, I wrote that it had a "Snoop Dogg-meets-Martha Stewart" vibe. The place has continued to be pimped and prettied up in equal measure with its oversized red velvet chairs, vertical hanging garden of herbs and Cindy's hand-sewn cushions bigging up that boho-meets-brothel feel. It's the sort of tapas bar that, if it had its own soundtrack, it would be A Little Bit More, as belted out by Tex Perkins and His Ladyboyz. Croydon Lane Wine & Tapas Bar co-owner Johnny Rechichi (second from left) and team. Croydon Lane is full of the right kind of noise. It's a proper grown-up place, conducive to conversation, sharing plates of terrific tapas and tasting great wines. Perch at the bar in front of that wall of impressive bottles and watch the rockstar bartenders roll like whirling dervishes - mixing, polishing glasses, stirring and pouring and shaking it all about. 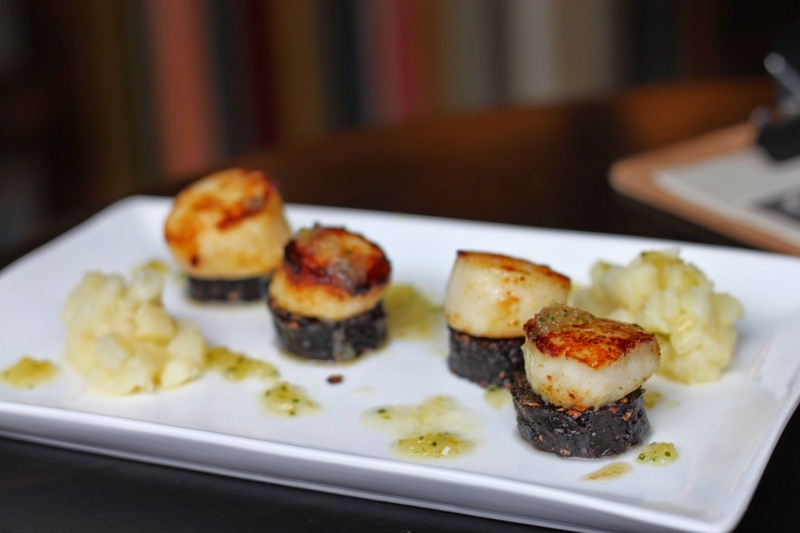 Seared scallop, potato confit and morcilla? Don't mind if I do. Croydon Lane has the boisterous spirit of a tapas bar that you might stumble across in the back streets of Barcelona and is filled to bursting with patrons crowding around wooden tables all in the mood to socialise. It also ably demonstrates how chef George Sideris has well and truly earned his chef's whites. Yes, he has manned the pans alongside Luke Mangan at Glass, at Sydney's Hilton and at Azafran Tapas in Surry Hill. But it's at Croydon Lane where the chef's Greek heritage is written all over the menu, which emphasises uncomplicated food with bold flavours. 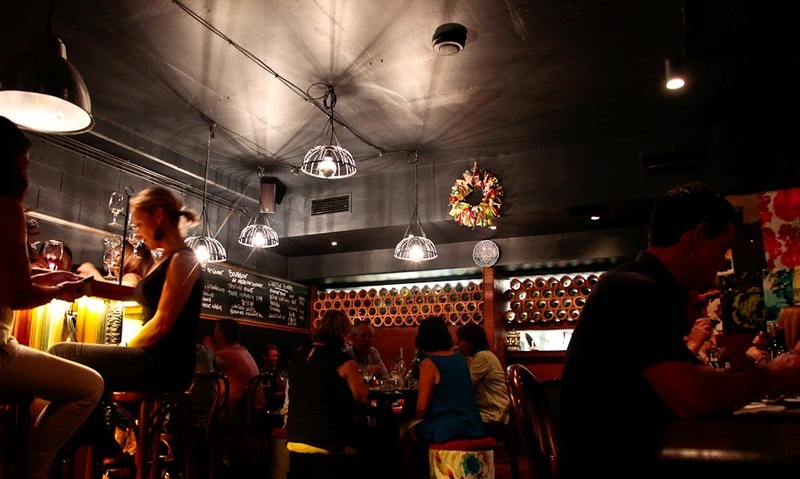 It's a laneway festival... Croydon Lane Wine and Tapas Bar a bonafide neighbourhood gem. Arrive hungry to savour the slow-roasted pork belly, carrot and green apple puree, salad of pickled radish and celery and a Pedro Ximenez reduction. 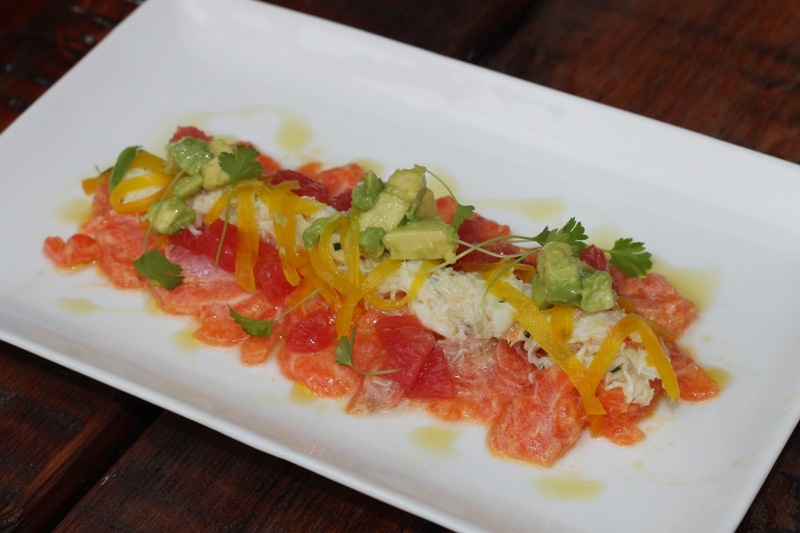 If it's light and summery you're after, cue the kingfish ceviche, sweet potato, pink grapefruit and spanner crab or salad of haloumi, olive cheeks and heirloom tomato salsa. 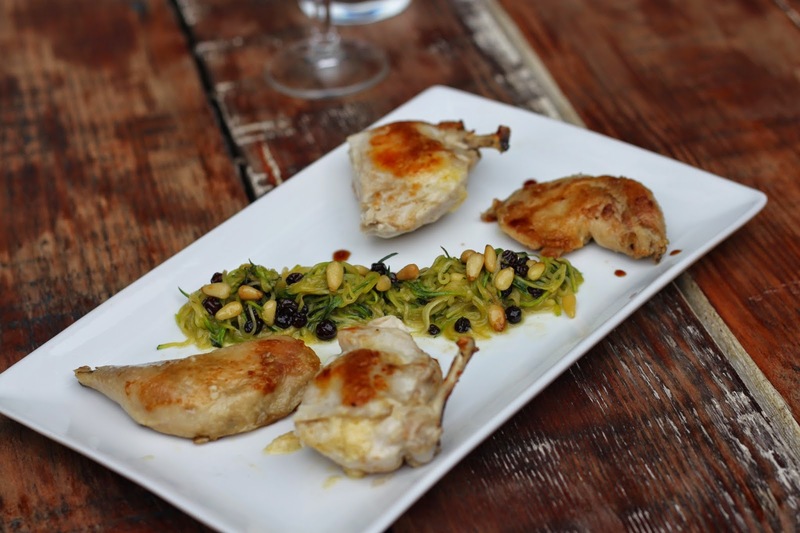 Salt and pepper quail breast, salad of pickled cucumber, crispy shallots and herbs. The degustation is also worth doing, as are the regular wine flights, paella Sunday lunches, gig nights and informative evenings custom-built for lovers of good food and wine. To celebrate Croydon Lane's second anniversary, chef George Sideris has provided his recipe for slow-roasted pork belly, carrot and green apple puree, which is featured in the recently released book for cooks, Flavours of Urban Sydney, now available for sale in the eatery. The recipe will be featured on my site tomorrow. Confit ocean trout, Persian feta, salad of pickled cucumber, crispy shallots and herbs. Croydon Lane Wine & Tapas Bar, Shop 8/30 Kingsway, Cronulla. For bookings, phone 0434 742 265.